When considering buying a brilliant TV to stand against or hang from a wall as the centerpiece of a living room, many people think about just two factors: how big it is, and how much it is. For some people, buying a TV may never come down to anything more than that. Jumia examines the most important factors to consider when buying TVs. The contrast ratio is simply the difference in brightness between the darkest black and whitest white the TV can produce. With a low contrast ratio, black areas of an image might appear more like a washed-out gray, or bright areas may lack vibrancy. You’ll often see numbers like 2,000:1 or 5,000:1 to indicate the contrast ratio, and the bigger that ratio, the better. This may not be an issue as most TV manufacturers will keep their colour depth at a level that won’t frustrate consumers. But if you’re shopping for a real bargain-priced TV, you may want to make sure that you get one with a bit depth of 8 bits per channel or more. 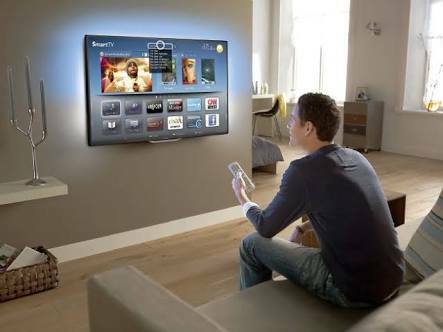 This will ensure that the TV is able to create enough colors to satisfy the human eye and present photo-realistic images. When it comes to size, things can go one of two ways: you get your TV home, mount it on the wall and realize it looks too small. Size is tricky, it helps to measure in advance and even tape a rectangle on the wall to ensure that your selection isn't too big or too small for space. Once you've chosen a size and display type, you will want to tackle picture resolution next. A TV's resolution simply refers to the number of pixels that make up the picture on the TV. The more pixels (or dots), the finer the resolution and crisper the picture. Too few pixels, and you'll have a grainy image. One of the first things you will want to do when buying a TV is to figure out what type of TV you want. There are LCD TVs, LED TVs, OLED TVs, and plasma TVs to choose from. The display types will make your decision making easier.